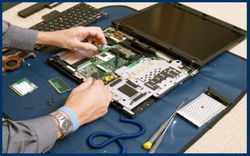 We provide high quality, prompt and reliable laptop repair services in Mumbai. We repair, upgrade and perform maintenance services of any type of laptop and deliver it at your doorstep in 2 to 48 hours. A standard laptop combines the components, inputs, outputs, and capabilities of a desktop computer, including small speakers etc. We repaired all kind of laptops we do cheap level and plus accessories and free check up for laptops.